Our choice of the Cooper cowherd. 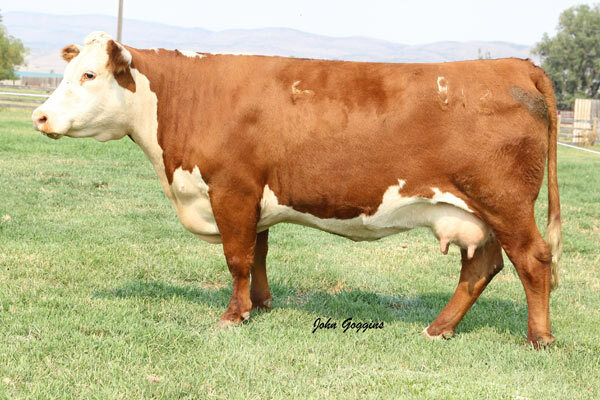 She is sired by the famous 9126J and his daughters are noted for maternal excellence. She is ideal in her phenotype showing extra rib and capacity. Her udder structure and teat size are ideal and she will play a major role in our donor program.